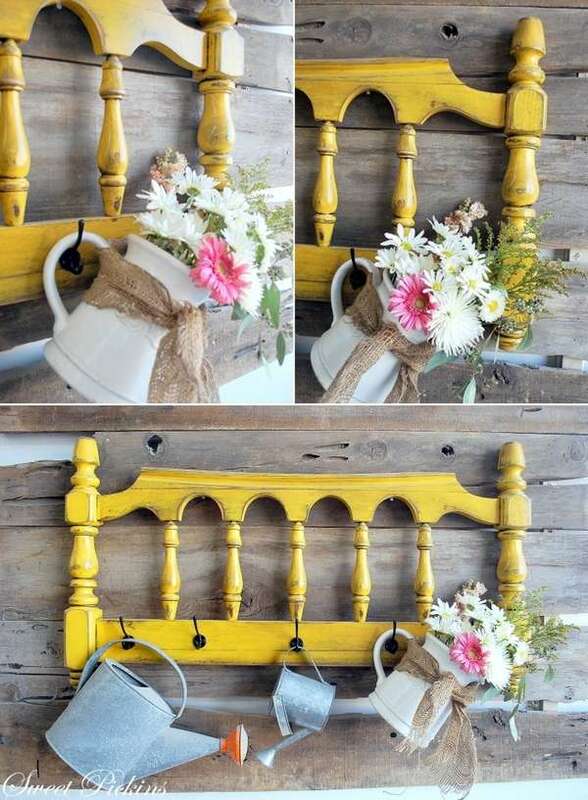 What To Do With Old Headboards? Gail at My Repurposed Life turned an old headboard into a wall shelf. 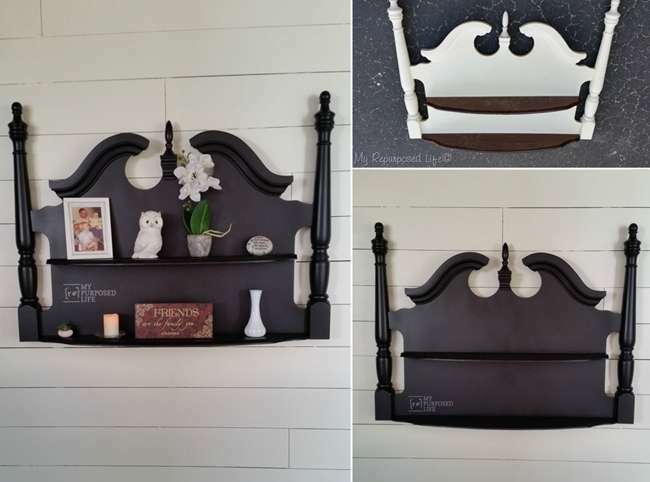 After she saw its inspiration on pinterest she finally turned this headboard into a shelf that was with her for six years. 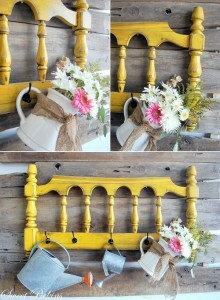 Sausha at Sweet Pickins Furniture repurposed a headboard into this wonderful organizer that holds her gardening tools. 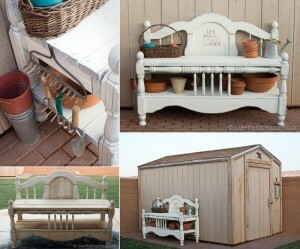 You can also go for such an organizer and can combine it with your potting bench or simply mount it on your patio wall. 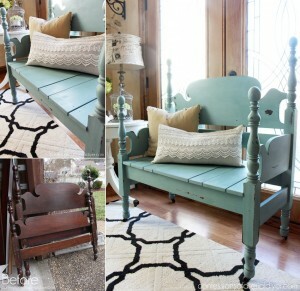 Christy from Confessions of a Serial DIYer found a headboard at a thrift store for 30 bucks and she turned it into this beauteous bench. 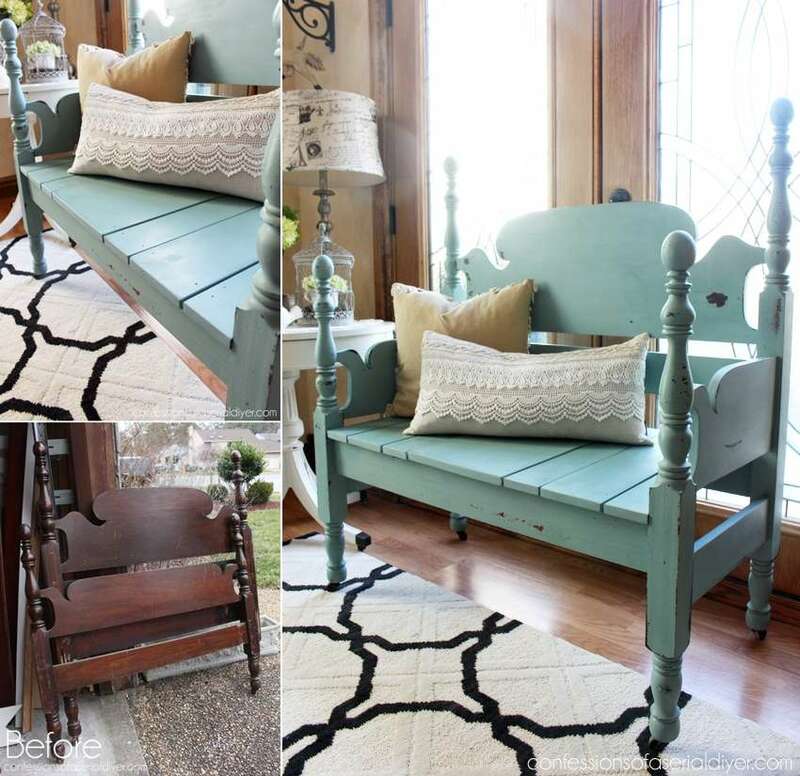 The interesting thing about this bench is that she painted it with milk paint in mason jar blue color that gives a distressed look upon drying. 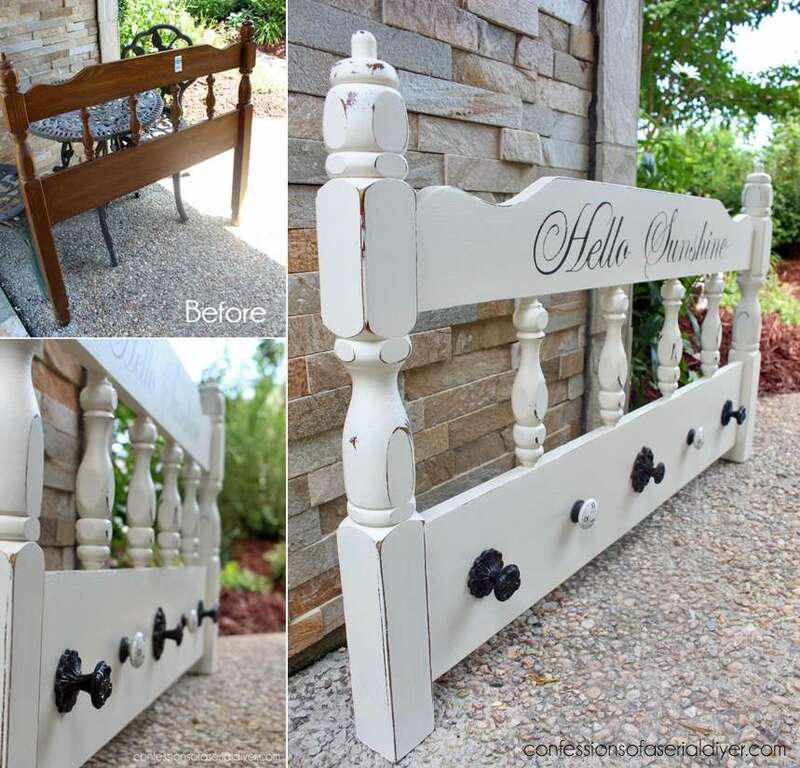 Here is another project by Christy from Confessions of a Serial DIYer where she painted a headboard white, added hooks to it and turned it into a coat rack. 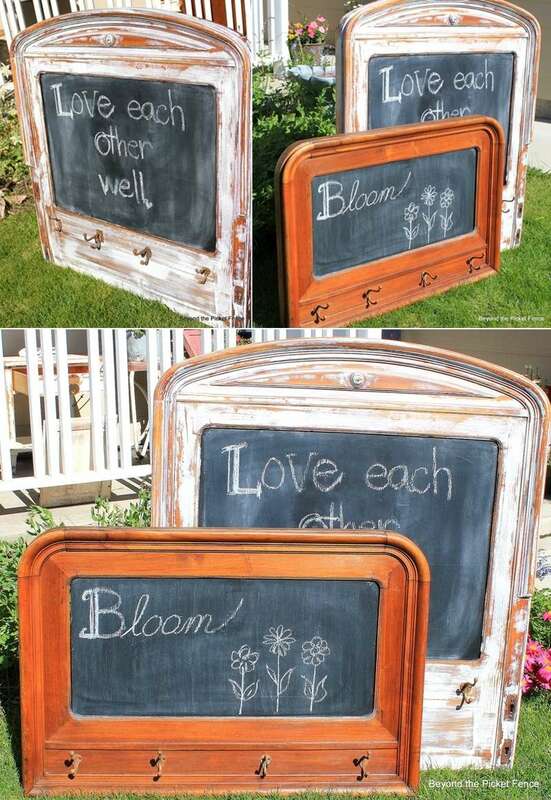 She also added a script saying ‘Hello Sunshine’. Gail at My Repurposed Life too has another project for your inspiration of this year’s Christmas decor. 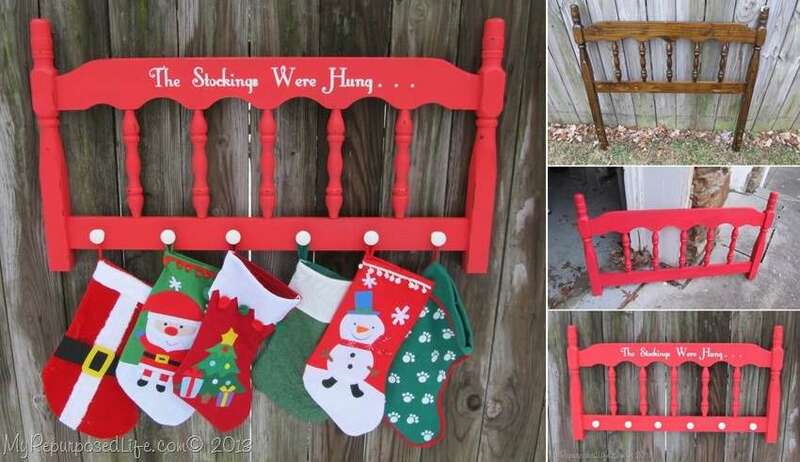 She turned an old and dull headboard into a cheerful red hanger for Christmas stockings. 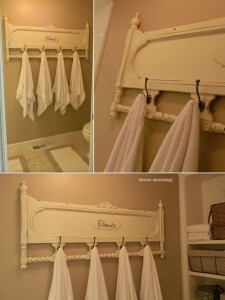 The good thing about this hanger is that you will make it just once and can use it for the years to come. Becky @ Beyond The Picket Fence turned a headboard and a foot board into these fun chalkboards. 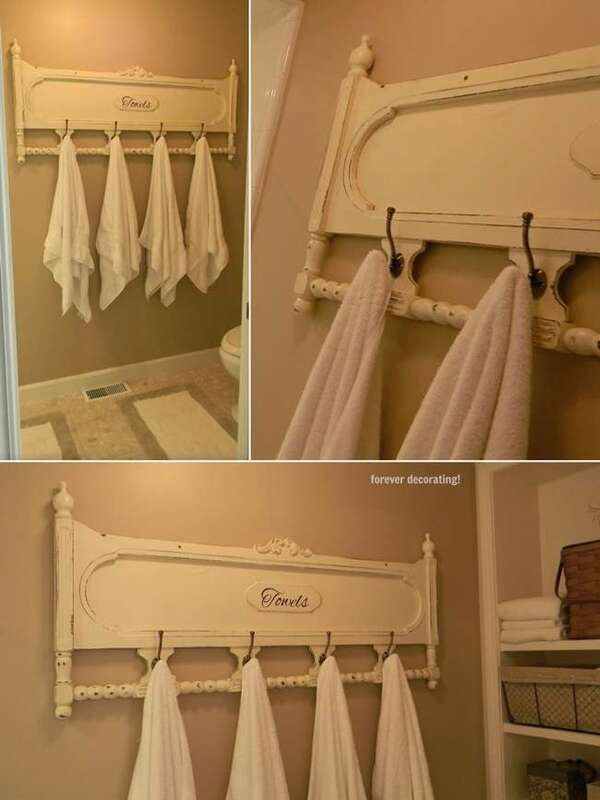 This is a great idea, you can try if you have kids at your home and you want to plan different activities for them that are entertaining as well as educational. 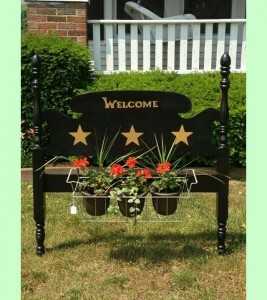 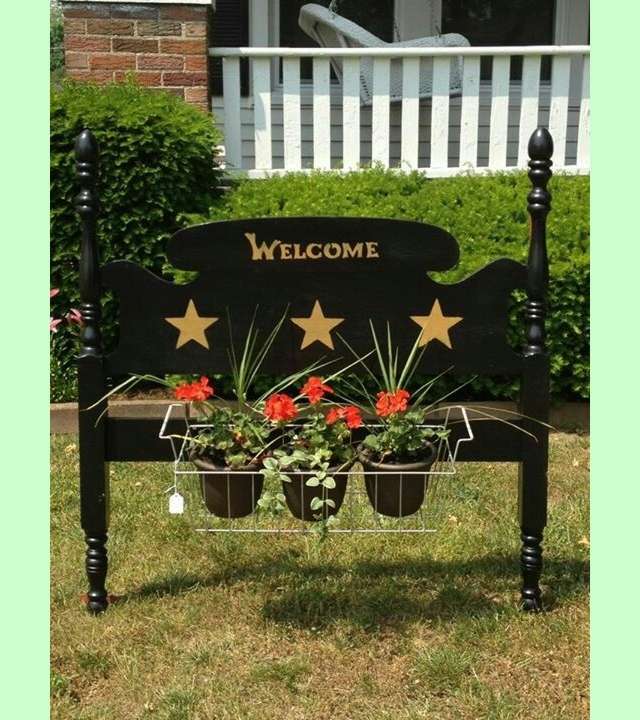 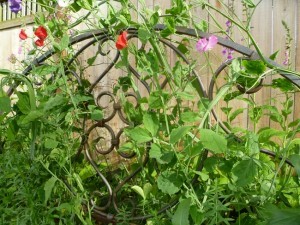 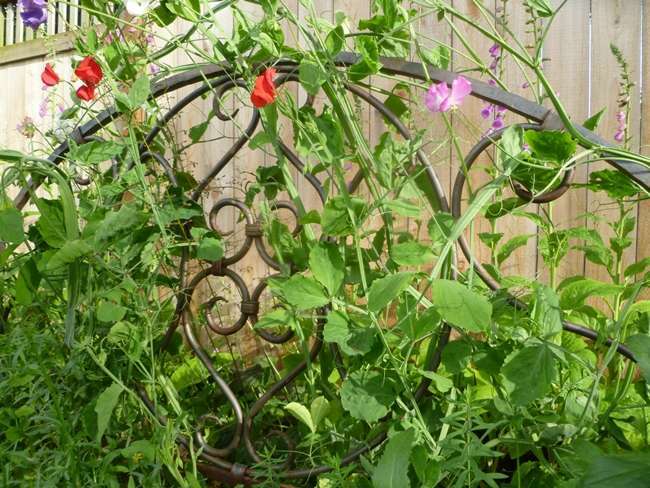 Pam Dana at Over the Big Moon recycled an old headboard into a wonderful potting bench. If you also have a green thumb and you love gardening like Pam, then a potting bench is a must for you and instead of purchasing an expensive version, simply recycle thrift store headboards.